A Supplier Diversity program is a proactive program by governments and the private sector which encourages the use of minority-owned businesses as suppliers. Supplier diversity programs recognize that sourcing products and services from previously underused suppliers helps to sustain and progressively transform a company’s supply chain, and monitor the transactions with diverse suppliers. The earliest supplier diversity initiatives began nearly three decades ago, during the 1970s, going back to the inception of such USA based groups as the National Association of Women Business Owners and the National Minority Business Council, to promote the inclusion of these under-utilized entrepreneurial groups. In addition, the Center for Veterans Enterprise is designed to assist United States’ veterans creating new enterprises. These initiatives give a leg up to to business owners who are more like to face social challenges and other practical elements to launching a new company. The National Gay and Lesbian Chamber of Commerce began certifying LGBTQ-owned small businesses in 2002, and helped enable LGBT businesses become part of a supplier diversity programs in corporate as well as government supply chains. Supplier diversity programs help empower LGBT businesses which do not always have equal opportunities and can face discrimination. Major corporations are working with LGBTQ-owned businesses, companies such as IBM and Marriott International and law firms such as Jenner & Block, expanding their commitment to LGBTQ inclusion, broadening their reach to diversity. In the UK, Stonewall worked with Simmons&Simmons to great guides for businesses looking to embed LGBT equality into their procurement practices. The HRC Foundation’s annual Corporate Equality Index surveys on supplier diversity programs under the Public Engagement, 50% of these included supplier diversity programs, 57% of which added LGBTQ criteria. Pacific Gas and Electric Comp any’s (PG&E) annual report to the California Public Utilities Commission (CPUC) on its progress in procuring goods and services from women (WBE), minority (MBE), service-disabled veteran (DVBE), and lesbian, gay, bisexual and transgender (LGBTBE) business enterprises (WMDVLGBTBE). In 2017, PG&E spent $2.6 billion with WMDVLGBTBEs, or 42.25 percent of its total procurement. The company spent $6.1 billion on products and services to deliver safe, reliable, affordable and clean energy to its customers. For 12 consecutive years, PG&E has exceeded the CPUC’s General Order 156 goal of 21.5 percent of diverse spend. By sustaining its 40-plus percent performance and by strengthening the quality of its supplier diversity program initiatives and diverse supply base, PG&E reinforces its commitment to an inclusive supply chain and to the economic development of the California communities it serves. Baltimore Mayor Catherine Pugh has signed an executive order recognizing LGBTQ-owned businesses, a move that is bringing a significant amount of work to the community. The move puts lesbian-gay, bisexual, transgender and queer-owned businesses in the same league as women- and minority-owned businesses that are afforded a certain percentage of product or service work on city contracts or those receiving city incentives. Baltimore has a large, LGBTQ population. The city was ranked in 2015 as the fifth most friendly city in the United States for lesbian, gay, bisexual and transgender people. 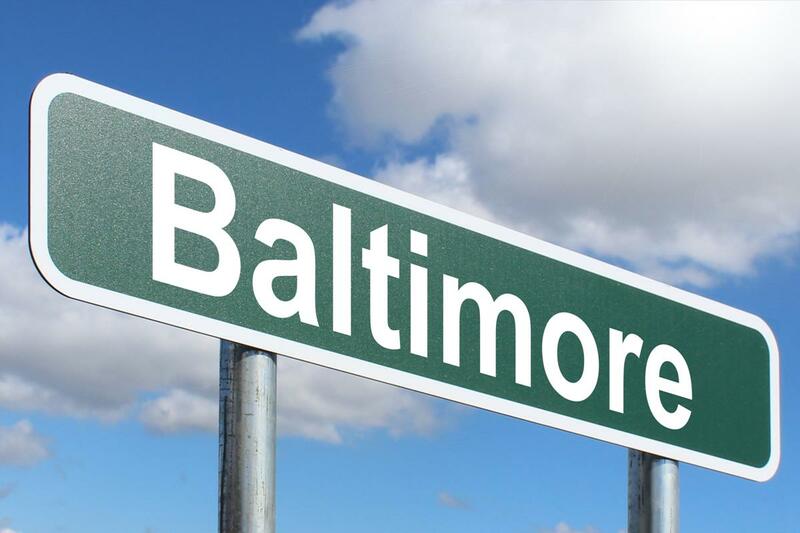 An analysis found that 3.9 percent of people in the Baltimore metropolitan region identify as LGBTQ. “Baltimore is an inclusive city and is made more vibrant by the diversity of our residents,” Pugh said in a statement. Baltimore now ranks as the largest city to include LGBTQ-owned businesses in a diversity program, according to Jonathan D. Lovitz, senior vice president of the National LGBT Chamber of Commerce, which would certify the businesses. Other cities with such orders include Jersey City and Hoboken, N.J. The chamber is expecting more cities to follow. Lovitz said this expansion is giving LGBTQ businesses more opportunities locally and potentially across the country to grow and produce jobs. Provides tracking in real time. Blockchain offers the ability to track sourcing and provenance. Enables Automation. Smart contracts help companies ensure that what is promised is delivered. Standardized processes. The technology expands multiparty capabilities and results in greater transparency, unifies data silos, compliance, and is synchronized. Creates trust. Blockchain offers immutability, preventing from tampered or doctoring of records. Provides opportunities for growth. Current systems are cumbersome, do not offer the as high a degree of reliability, and are susceptible to human bias to prevent honest brokering; these can reduce the strength of supplier diversity programs and utilization. Blockchain can be a big boom for supplier diversity programs. The LGBT Foundation team is helping businesses understand what blockchain can mean for their bottomline and how organizations can utilize this technology to advance equality.